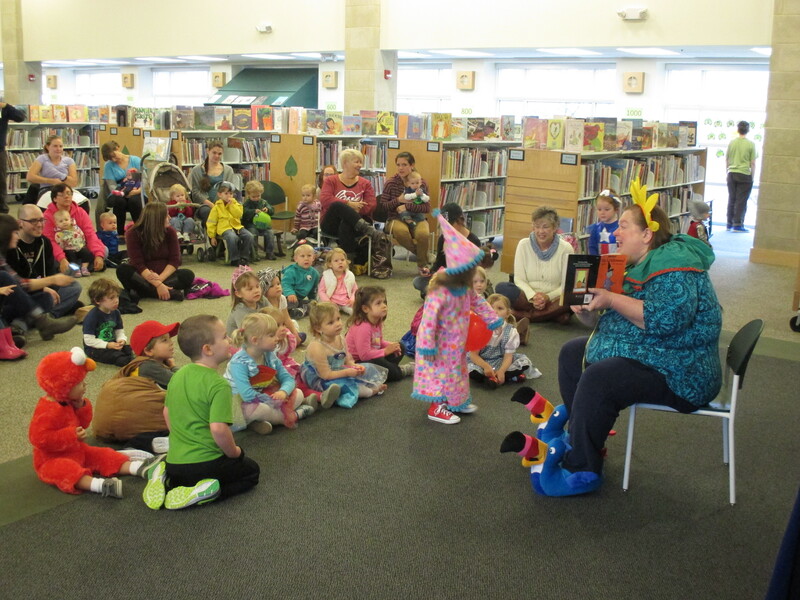 The Youth Services team at Handley Regional Library provides a variety of fun and educational programs. In addition to the ones listed below, we have many seasonal programs and special events throughout the year, so make sure to check the Calendar of Events for Children and Teens for the current programs – you’re sure to find one to fit your age and interests! For newborns to 15 months for pre-walkers and their parents or caregivers. Enjoy stories, clapping, tapping, playing, moving, and singing. Lots of music, dance, and interactive activities make this best for wiggly, wandering toddlers. 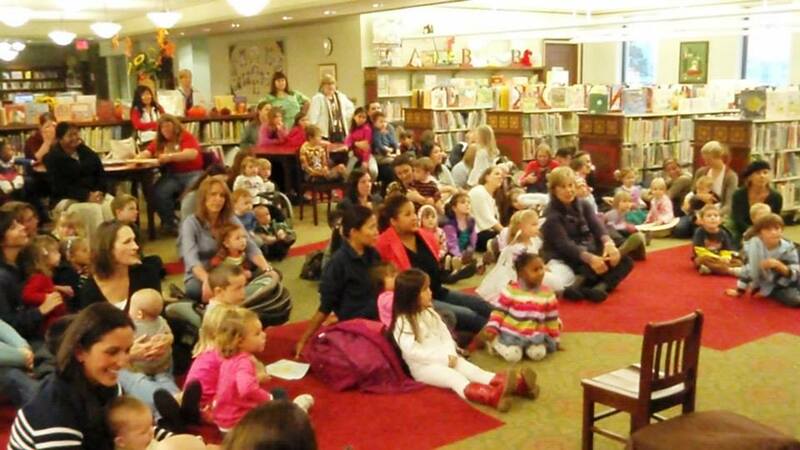 Children ages 3 and up and their caregivers enjoy stories, fingerplays, movement songs, dancing, puppets, and more! A story time for the whole family, with stories, songs, action rhymes, puppets, and more! A lively 30 minute program for all ages, filled with music and movement. Calling all builders of all ages! Come explore LEGO bricks, blocks, and much more. Films for all ages! Join us on select Saturdays at Bowman and Handley libraries. Families are encouraged to bring a picnic lunch to the show. Check the calendar for dates and show titles. Families, adults, and kids of all ages and skill levels are welcome to come and play. For children ages 5-10 at Clarke County Library. Join us for books and art-unleash your creativity with a hands on project. For beginning readers. Read a favorite book to a canine reading tutor at all Handley Regional libraries. These great listeners are certified therapy dogs. Check the library calendar for specific dates! School age children from 6-12 years old design and engineer with Lego blocks! Each class has an assignment and challenge to be completed by groups or individual. We’ll show off your creation all week in our display case, then take them apart for a new challenge the next Monday. Hands-on activities for ages 8 and up are presented by VCE volunteers of the Northern Shenandoah Valley Master Gardeners Association. Registration is required. See the library calendar for specific activities and registration. For ages 10 and up, hear a story then create a stitching project. Registration required through the library calendar. Supplies provided. Sponsored by the Winchester Chapter of the Embroidery Guild of America and the Shenandoah Valley Tapestry project. Bring your sketch book to create your sketches and manga drawings. Get tips from other teen artists and share your work. Chat about your favorite DC and Marvel characters and enjoy snacks with our friends at Four Color Fantasies. All teens (12-18) are welcome to come and give input on new teen programming for all system libraries. A teen-only, after-hours event (12-18). Play the board or video game of your choice, eat snacks, and hang out with friends new and old. Eat some pocky and snacks while you watch a select anime title. Participate in the creation of the Teen Times newsletter with creative writing, book reviews, poetry, and event promotion.